An unflinching verité portrait of the children of Stanton Elementary School in North Philadelphia, an inner-city neighborhood where 90% of the students live below the poverty line. 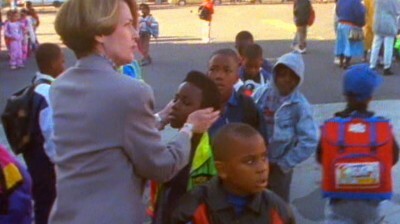 Seen through the viewpoint of devoted principal Deanna Burney, the film shows Stanton as grossly underfunded, understaffed, and filled with children struggling to overcome their difficulties. But for these at-risk kids, however, the hope for their future survives only in the success of their education. A captivating series of vignettes concerning children growing up outside the American dream, echoing current “hot-button” issues in our country’s ongoing political discussion.